In the summer of 1949, the newly-elected provincial government of Newfoundland, led by Premier Joseph R. Smallwood, passed a series of acts intended to improve and modernize the province. Of these was an act to elevate the status of Memorial University College (MUC) to that of a degree-granting university. 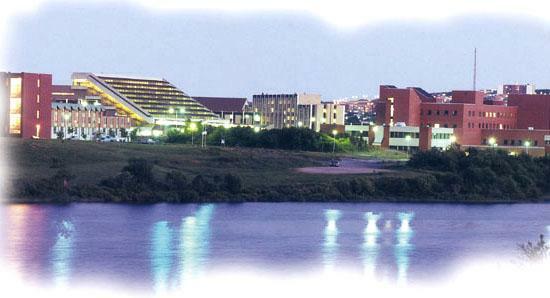 The bill chartered the Memorial University of Newfoundland (MUN) to begin offering full degree programs in the autumn of 1949. The first-year enrolment stood at a modest 307, but by 1961 enrolment was 1,400, and in 2000 the total enrolment was 15,830, the highest in Atlantic Canada. The university began its operation with a simple purpose: to provide university education and its benefits to the province and its people. Education was accepted as a cornerstone for future economic and social prosperity. Premier Smallwood was intensely interested in developing Memorial into a comprehensive, academically excellent university, while remaining open to any Newfoundlander or Labradorian who wished to receive a university education. 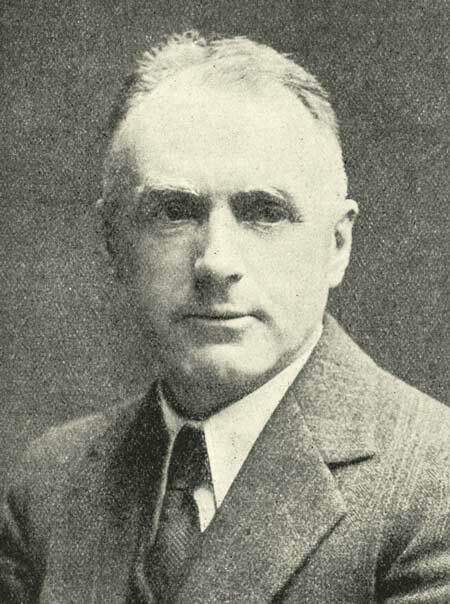 Albert George Hatcher (1886-1954), n.d.
Hatcher became president of MUC in 1933, and remained president when the institution became a degree-granting university in 1949. From J.R. Smallwood, ed., The Book of Newfoundland, Vol 1. (St. John's: Newfoundland Book Publishers, 1937) 299. The program that dominated the campus into the late 1960s was Education. The training of teachers was of paramount importance for Newfoundland as many teachers in the province were under-qualified and untrained. The desire to have the university fulfill the employment needs of the province became a familiar refrain and underlying principle for new programs. Another important part of the university's purpose was to study Newfoundland and Labrador in all of its facets, through academic disciplines such as history, geography, geology, marine sciences, engineering, and folklore. A great deal of this work was subsequently carried out with aid from the Institute of Economic and Social Research, which opened in 1961. From 1949 until 1961 the university operated in the same buildings as the old college. In 1951 the Board of Regents appointed former University of Alberta President Robert Newton to complete a detailed plan for the future of MUN. His 1952 report called for a new, more spacious campus to be located on Elizabeth Avenue. Also, he recommended that faculty be hired based on merit and diversity of educational background. New programs in philosophy, commerce, geology, linguistics, pre-forestry, physical education, sociology, and psychology were added over the next five years as a result of his recommendations. Implementing Newton's recommendations was the newly appointed president, Raymond Gushue, who replaced President Hatcher in 1952. The move to Elizabeth Avenue took nine years from the laying of the cornerstone in 1952 to the official opening in the autumn of 1961. The delays in construction frustrated faculty and students, as over-crowding on the Parade Street campus worsened each year. Temporary buildings were added during the 1950s to alleviate the over-crowding, but these were only stop-gap measures. The move to the present Elizabeth Avenue campus in the autumn of 1961 was, perhaps, the most important moment in Memorial's history since its opening in 1925. The new campus initially consisted of four buildings: Physical Education, Science and Engineering, Arts and Administration, and the Library. Residences and a dining hall (later named R. Gushue Hall) were started the following year with money from the National Fund, as well as from the Anglo-Newfoundland Development Company (Rothemere House) and Bowater's Pulp and Paper Company (Bowater House). Other buildings were added in the 1960s, such as Education (1966) and Chemistry-Physics (1967). Additional residences were built in 1964 (Doyle) and 1967 (Barnes, Burke, Curtis, Blackall, Hatcher, and Squires). In 1968 a student building was constructed, subsidized by a $500,000 donation from MUN's chancellor, Lord Thomson of Fleet. Other important events at Memorial in the 1960s include the introduction of doctoral degrees in English and Chemistry in 1965, the retirement of President Gushue in 1966, the hiring of Lord Stephen Taylor of Harlow as President in 1968, and the purchase of buildings in Harlow, England to serve as an extension campus in 1968. M. O. Morgan's first stint as President (1966-1967) led to many important initiatives. A Senate review led to the creation of 17 new programs, a Dean of Women, a Director of Student Affairs, and the Educational Television Centre. The autumn of 1966 saw the newly created School of Nursing take in its first students. In the autumn of 1969 the first class entered the School of Medicine. The inclusion of Rural Medicine as an area of specialization greatly aided the school in fulfilling Newfoundland's medical needs. Under President Taylor the Department of Folklore was created and offered degrees at all levels. President Taylor retired in 1973 and Morgan succeeded him. In 1975 Memorial University opened a college in Corner Brook, offering a two year program. In 1979 the college adopted Grenfell College as its new name. Morgan remained in office until 1981 when he was replaced by another long-time Memorial professor, Leslie Harris from the Department of History. Harris held the post until 1990 when Arthur May was named to the post, which he served until his retirement in 1999. In 1999 Axel Meisen was installed as Memorial's eighth president. View of Memorial University of Newfoundland. ©1997 Photographic Services, Memorial University of Newfoundland, St. John's, NL. Memorial has built and cultivated a number of large research partnerships with business and government. Large scale research projects focused on fish stocks, off-shore oil development, sustainable development of resources, and metallurgy. Early in the new millennium Memorial helped to establish the Bonne Bay Marine Station on the island's west coast. Much of the research conducted at Memorial is either directly or indirectly related to Newfoundland and Labrador and is intended to benefit the people of the province. The relationship between the university and the people of the province has been and will continue in the future to be the raison d'être of the university.